Anil Kapoor did not want the Punjabi makers to use this title and wrote to IMPPA. Anil Kapoor, Sonam Kapoor and Jimmy Shergill. Mumbai: Sonam Kapoor and Kareena Kapoor's film 'Veere Di Wedding' has still not gone on floors, but the film is making headlines for various reasons. Anil Kapoor, who did not want the Punjabi makers to use this title, had written to the Indian Motion Pictures Producers Association (IMPPA). The actor intervened further into the matter and approached the court to stop them from using this title, as he claimed that they were just gaining publicity through the film’s name. 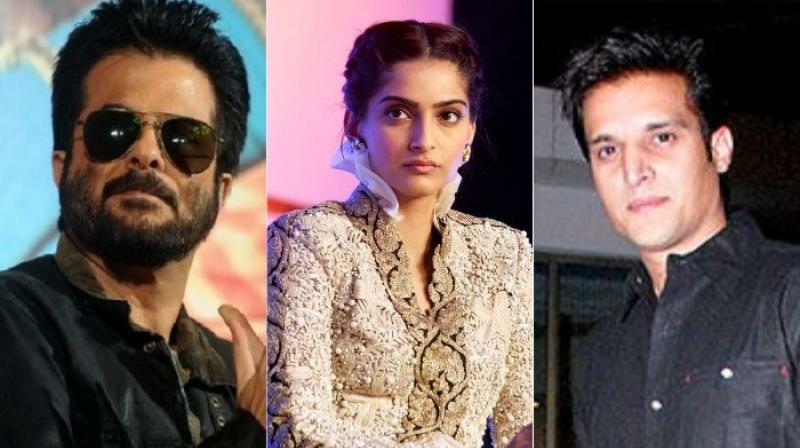 However, yesterday High Court dismissed claims made by the Kapoors and ruled in favour of Jimmy Shergill’s Punjabi film. “The judge said he was not convinced by the [Anil's] argument. He did not find any misuse or deceit as alleged, given that the story and cast were different. We are waiting for the judgment copy,” added the director. Produced by Rhea Kapoor, ‘Veere Di Wedding’ stars Kareena Kapoor, Sonam Kapoor and Swara Bhaskar in the lead roles.